I love this book! It is such a great read aloud. My kiddos love it so much. One year, we loved it so much we acted it out, recorded it, and showed it to all the kindergarten classes in the school! I have made it my personal goal to collect every copy of the Tacky books. There's a new one about Halloween coming out in July!! You can pre-order it here on Amazon. 2. 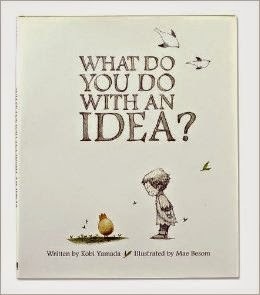 What do you do with an Idea? I found this book randomly during a book buying binge at Barnes and Noble. I stood in the children's section and cried as I read this book. It is SO GOOD. It's so important for kids to hear the message in this book. And the pictures are incredible!! Speaking about important messages...This book is amazing. 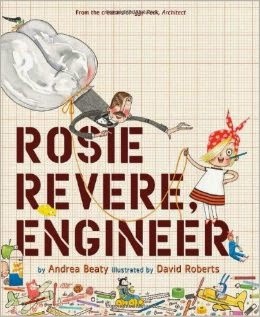 The little girl in this story is an engineer and doesn't let the discouraging words of others stop her from believing in herself. The message is important for ALL kids to hear...but I love the message of a girl in science...doing science...even when people tell her she can't. GIRLS....go do science! I love this book. I also love Oliver Jeffers. What a great book on perspective and inclusion. 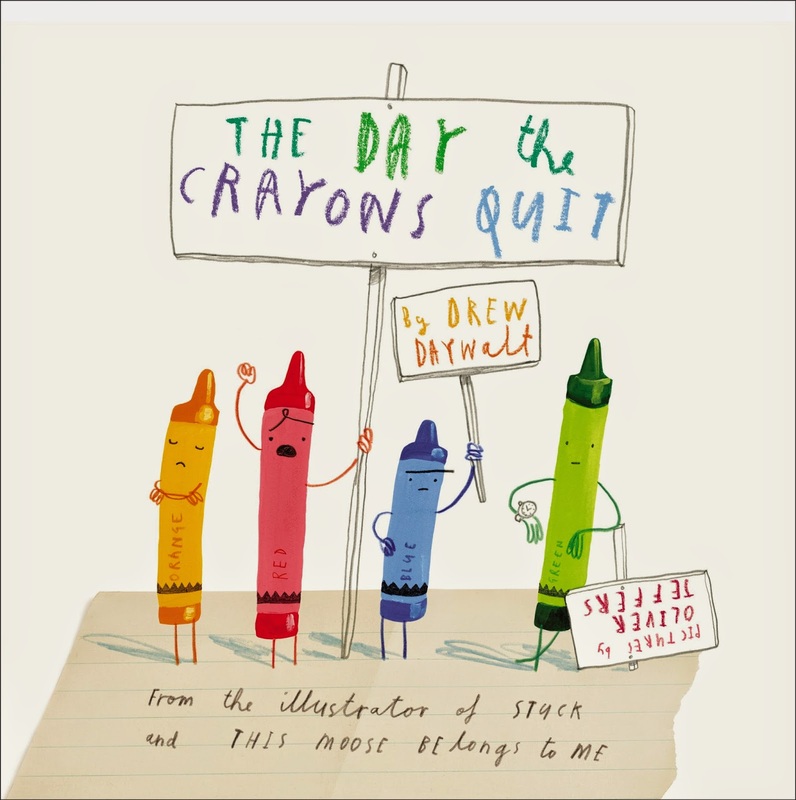 Each time I read this story...I stop before the last page and ask the kids to draw a picture of what they think will happen in the end...but they can only use one crayon. Love it!! It's a great book...with no pictures. I have a complete obsession with children's books. 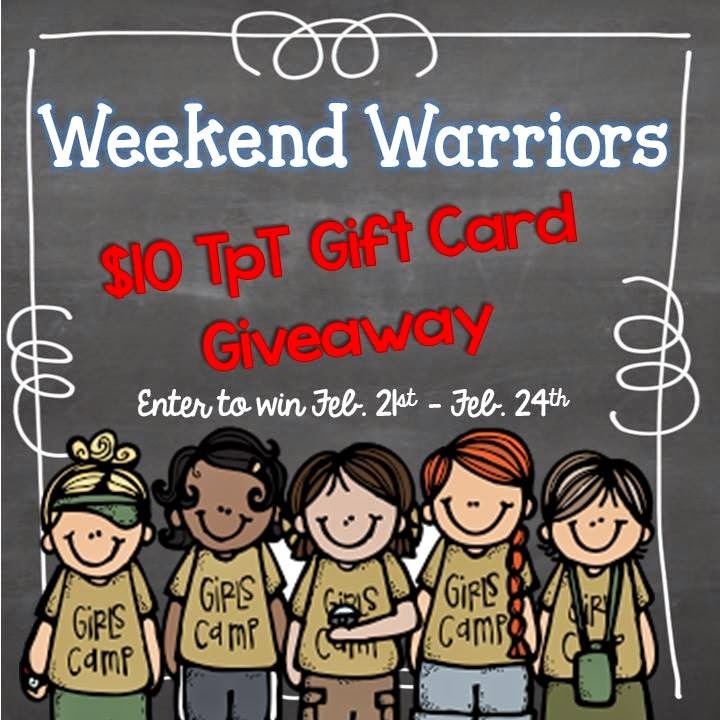 I am giving away a $10 gift card to TpT!! To enter, simply fill out the information in the Rafflecopter below! Good luck! and happy reading! Guess what?! 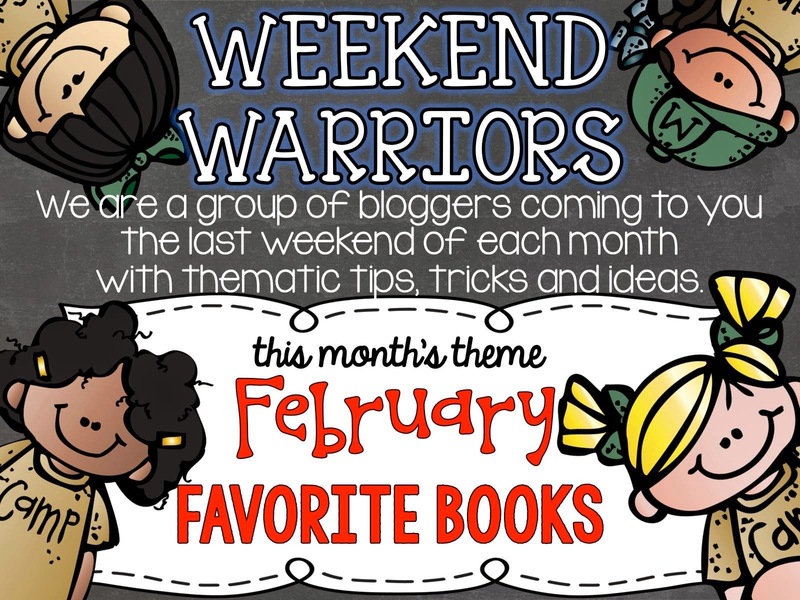 My other Warriors are also hosting giveaways on their blogs!! Check out their favorites and enter to win another gift card! This is great! I like to share the book The Sneezy Snowman...my kids really enjoy it! I love If Everybody Did by Jo Ann Stover, great to read when establishing classroom rules! I am so happy to find some new books here! Thank you for sharing! Our school recently entered a video contest with a reading of The Book with No Pictures! I really love Chrysanthemum and Dr. Seuss' ABCs book! I read Froggy Gets Dressed by Jonathan London and my students loved it so much! They laughed and laughed at Froggy and wanted to hear the story again. Now they can't get enough of the Froggy series! The Book With No Pictures sounds very interesting. I need to get it. =) I love books!! I love Tacky also. One of my favorite read aloud books is Those Shoes. I love all the Laura Numeroff books and do a prediction sheet with the book. I love Little House in the Big Woods. I love all of the David Shannon books and so do my kinder-bears. I love books that make them laugh and book that make them think and they get teary-eyed. When I grow up, I want to be the little old lady at the library who does storytime. I read a lot of How Do Dinosaurs..., the Bear series by Karma Wilson, and Junie B. Jones! 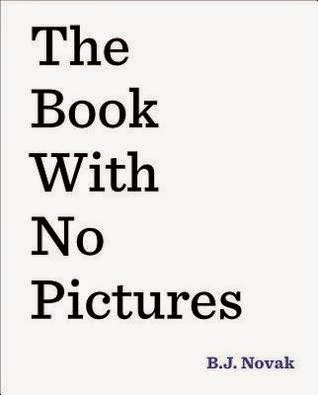 I love to read The Book With No Pictures! I like Jan Brett's The Mitten. 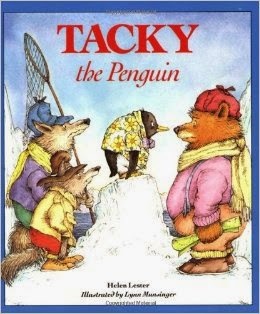 I love the Tacky books, too! I really love Karma Wilson's Bear books. My students love when I read The Hungry Thing and Rhyming Dust Bunnies! Thanks for the giveaway. I love books and have so many favorites. I love Jan Brett. Julia Cook is another favorite. Her books are fun to read but also have such wonderful lessons. I like Spoon. Need to get the other books in that series, too. Pete the Cat and The Lorax - they are fantastic!! The Lorax! and Pete the Cat! I love reading Margie Palatini books (Piggie Pie, Bad Boys) aloud. Mrs. Piggle Wiggle books are good. Oh girl. I'm a straight-up Oliver Jeffers stalker!!! So much so that I have two products in my own store based on his work (STUCK & The Day the Crayons Quit!). He is an amazing illustrator and author. If I ever get the chance to meet that man, I'm gonna give him a BIG ole' hug for just being awesome. Also love The Day the Crayons Quit-how comical! Thank you. Anything with Elephant and Piggy! Love to do the expressions loud and the kids always think it is funny! All Robert Munsch books, but especially. We Share Everything! I love bubba the cowboy prince! My kids love when I use my country accents. I also love to read the three Billy goats gruff because that's one of my favorite childhood books!